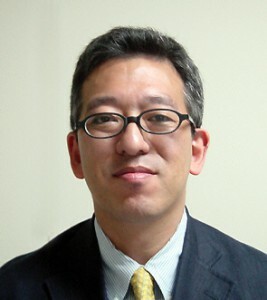 Hiroshi Mano is the President and CEO of Koden Technology and Information Corp. His career spans over 30 years of working in the fields of wireless networking and electronic equipment technology. While pursuing his Bachelor of Engineering degree at the Shonan Institute of Technology, he developed a vast amount experience and knowledge in those fields and was heavily engaged in standardization activities. Prior to joining Koden Technology and Information Corp., he served on the Board of Director at Allied Telesis R&D Center K.K. His previous responsibilities also include the role of CTO at Allied Telesis Holdings K. K. and President and CEO at Root Inc. He continues to be an active player in standardization. He is currently serving as a Chair for IEEE 802.11 TGai TG., and a Vice Chair of ITRC (JSPS 163rd Committee on Internet Technology). He is a member of IEICE, IEEE, and IPSJ.